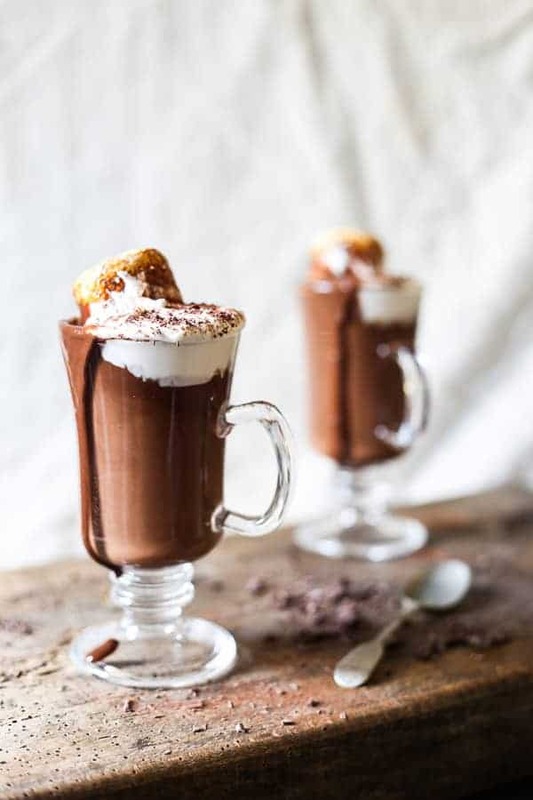 This Ultra Creamy Dairy-Free Hot Chocolate only needs 3 ingredients and five minutes of your time to warm your cockles and sweeten your day. 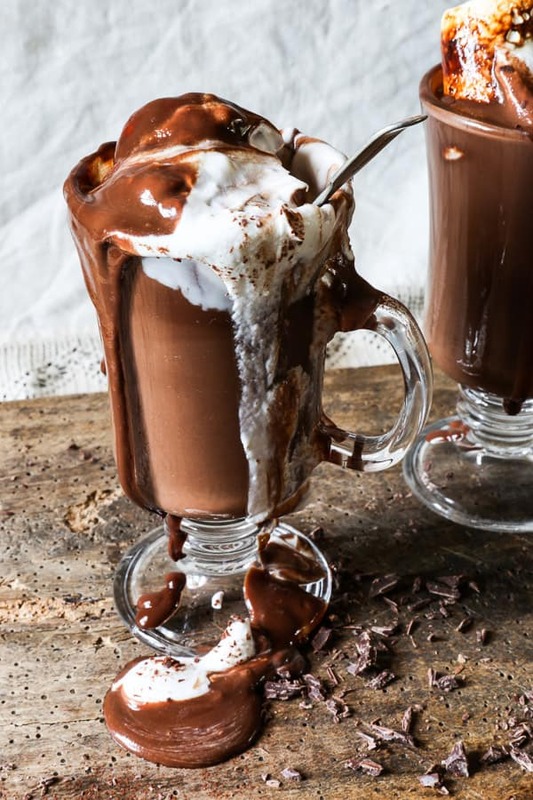 I have been looking for a dairy-free hot chocolate for ages as although I love hot chocolate, my body gets mighty furious with me if I attempt to drink a whole glass of milk. Ever since I was a child I have not been able to handle a lot of dairy. This is obviously in high contention with the fact that I love dairy and during these frosty November days there is nothing better than a creamy hot chocolate. Suddenly I am dreaming of the chocolate caliente you can order in Spain, so thick you need to eat it with a spoon. 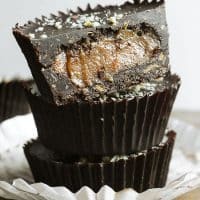 The sipping chocolate I make at home has always relied upon coconut milk as a substitution but it’s so easy to overdo coconut, the taste becomes all consuming and a bit off-putting so my wintry cravings for hot chocolate have been a little stunted. However, when I read about the trend of putting banana milk in coffee to make the milk taste creamier without adding a taste of banana I wondered if I could use this in some way to aid my chocolate. The banana is blended first with the milk (in this case coconut milk) which makes the milk thick and luscious but also seems to neutralise the heavy coconut edge. You need to be careful about how much banana you add in as otherwise it can go the other way and be too bananary but the quantity below works really well. The great thing about the banana is that it also adds natural sweetness so you don’t need to worry about adding sugar. Gosh, it’s almost a health food if you think about it. Don’t think about it too hard though. Unfortunately I now have another problem with my hot chocolate as it’s far too easy to make and it is getting pretty cold out there. Is it a hot chocolate a day keeps the doctor away or am I getting confused with something else? No no, I think I’ve got it right. 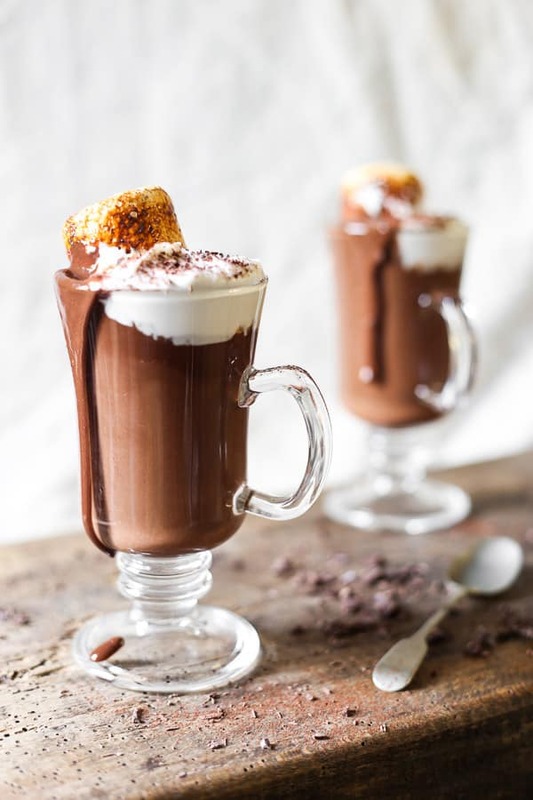 This Ultra Creamy Dairy-Free Hot Chocolate takes just 3 ingredients and 5 minutes. 75 g chocolate chips 70% cocoa solids. If you want the hot chocolate to be 100% dairy-free then you must use chocolate with no added milk. Blend the coconut milk and banana until smooth. Pour into a saucepan and bring the milk up to a very gentle boil, then immediately remove from the heat. 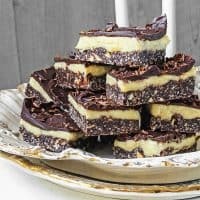 Leave for a minute or so to avoid scalding the chocolate, then pour the milk, through a sieve to remove any banana lumps, over the chocolate chips. 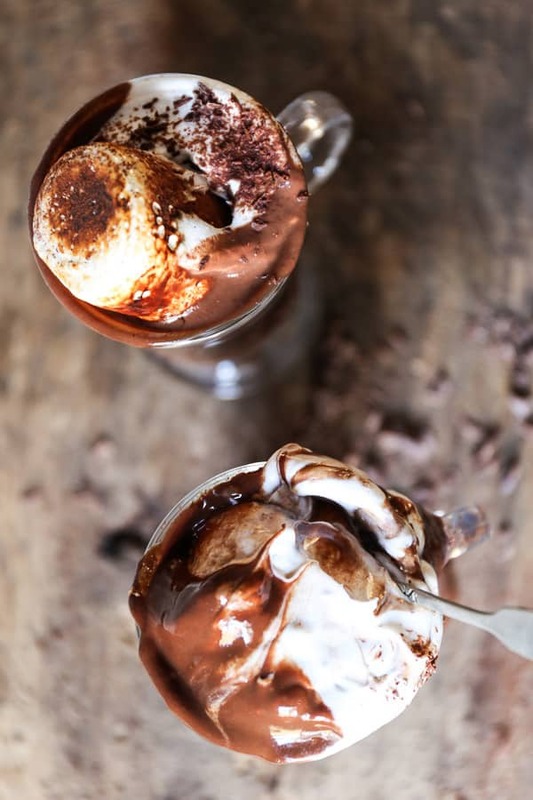 Stir really well so the chocolate melts and then becomes a beautifully smooth liquid. 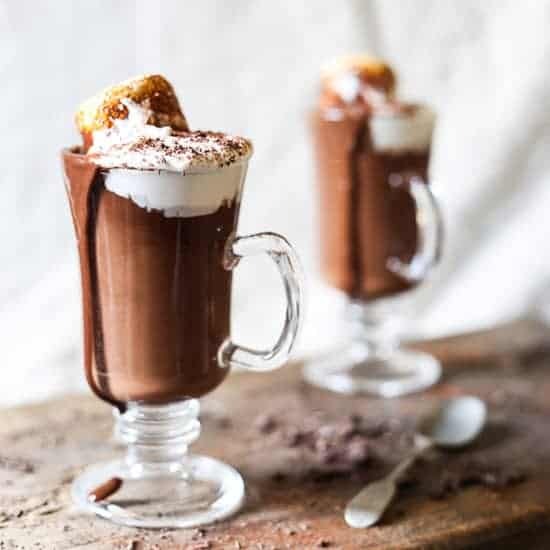 If you want to serve with coconut cream, then whip the coconut cream for a minute in a food mixer with a teaspoon of honey, then dollop on top of the hot chocolate. Squidge a large toasted marshmallow on the top also if you fancy. If you can’t get hold of tinned coconut cream then it’s easy to make using coconut milk. Just place the tin of coconut milk in the fridge overnight, whereupon the cream will separate from the water. The next day when you open the tin, you can just scoop up the cream from the top of the tin. A 400g of coconut milk will create about 200g of coconut cream. My sister loves hot chocolate but can’t really have milk. I can’t wait to show her this! Thank you Matt, let me know if she tries it! You’re right Bethany, bananas and hot chocolate just make sense!